Maybe you’ve thought about what you’d grab from your house in an emergency if a big fire were about to engulf it. But what about if you had years to mull over which of your things you’d want to hang onto most? Would that make parting with certain things easier, or all the harder? 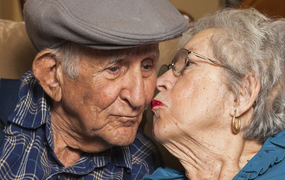 Depends on the person, and the stuff, according to gerontologist David J. Ekerdt at the University of Kansas. 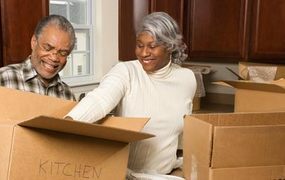 He’s conducting the first major study of “household disbandment” – when older people reach a point in life where they must downsize. It’s a popular topic that many of us face when trying to move to new (usually smaller) quarters. In earlier research, he’s identified the reasons why people generally keep things, such as: they seem useful, they’re worth money, they give pleasure, they represent us, they conjure possible selves, they were given as gifts, we have a responsibility to our forebears, and simply because we can and we have the space for them. 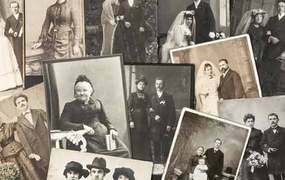 Family photographs, no surprise, are the stickiest of all possessions, according to Ekerdt. Here’s where our kids, when adults, should have an advantage over baby boomer adult children. They’ll just need to gather up a few memory sticks – whereas I was coping with cumbersome stacks of plastic slide trays and carousels (just like those seen on an episode of “Mad Men”! ), bulky photo albums on yellowing non-acid-free paper, and stack upon stack of “double prints” in paper folders. Surprisingly, these are the second “stickiest” kind of possession, Ekerdt says. He notes one gentleman in his study who’s schlepped three sets of encyclopedias through numerous moves. What’s your relative’s jones? Splatterware or Spode? Old tools? Coca-Cola memorabilia? Salt-and-pepper shakers from every city in the country? The things we collect often hit multiple motivations for being kept: They define our personality, may be valuable, and represent hours of memories and hard work (especially if they were acquired pre-eBay). Collections are often clung to because they’re perceived as “worth something” even if the owner has no idea how much (and often, it isn’t that much). Ditto antiques, especially furniture or fragile ceramic objects which can seem impossibly dangerous or cumbersome to move. 5. Symbols of other life stages. Ekerdt talks about a mother unwilling to part with a mammoth platter, which she used to serve turkey at Thanksgiving feasts ““– it’s a symbol of motherhood that she cherishes. An athlete may be loath to part with old trophies. An ex-piano teacher who can no longer hear well or play won’t get rid of her piano. Who hasn’t known an older family member who subscribed back before cable TV to revel in the glorious photography and reports on faraway places? They just seemed too nice to toss (and the kids might need ‘em someday). So now shelves of canary-colored spines line the bookcases…still too nice to toss. Those jars full of sea glass, rocks, or sand may seem like just that, except to the vacationer who once hand-picked those items on a special trip. Sombreros, carved figurines, textiles, T-shirts, lovely vases, old baby dolls and pretty much everything you see got into that house somehow, and its owner still sees that story even if nobody else can. Wedding gowns and old military uniforms have to top the list of apparel that fills closets forever. Disbanding my mom’s house, I found she’d saved my 50-something sister’s prom dress. Baby clothes! Shoes that bunions have made obsolete! One woman I know has kept her husband’s white honeymoon pajamas for nearly 70 years. 10. The stuff of the future. This list sound about right? Have you run into even stickier possessions of your relatives??? David Eckerdt also notes that downsizing can have a gratifying up side. Sometimes parsing through your things allows you to, in a sense, “select and choose who you are next.” I can’t wait to hear more of what this project yields about how to help our loved ones–and ourselves–get from here to there.